The market is filled with 1911 and Glock models. 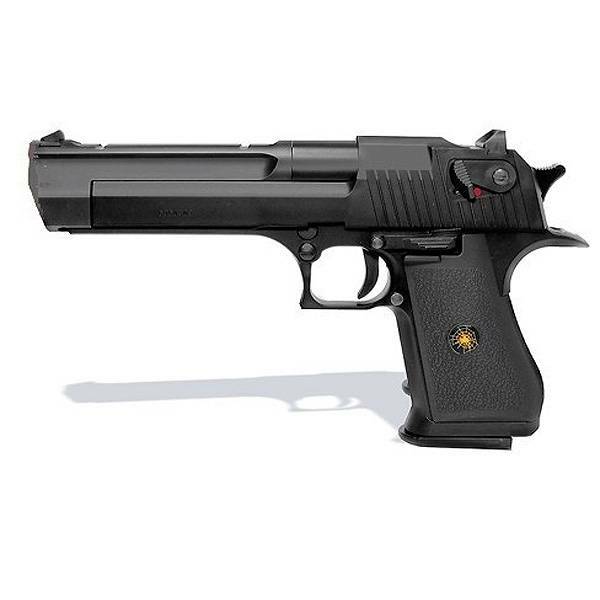 The Desert Eagle is model that doesn't get the credit it deserves. HFC has listened to our thoughts and has been producing an affordable Blowback model. 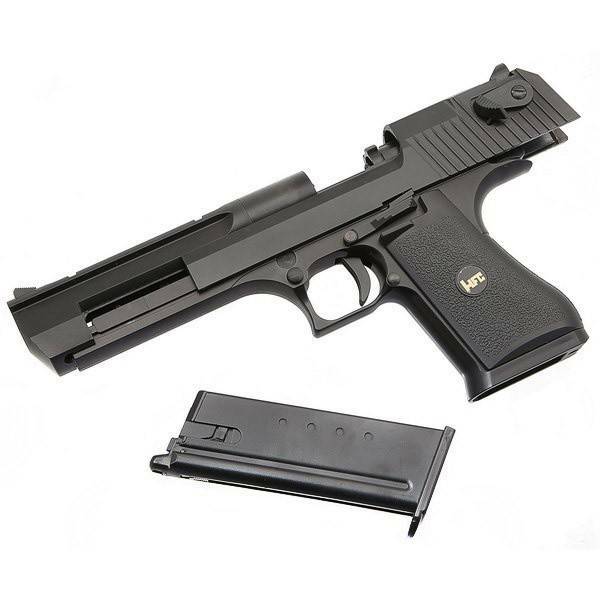 This is based on the Tokyo Marui Desert Eagle GBB pistol, which makes it customizable and compatible with a bunch of aftermarket accessories. 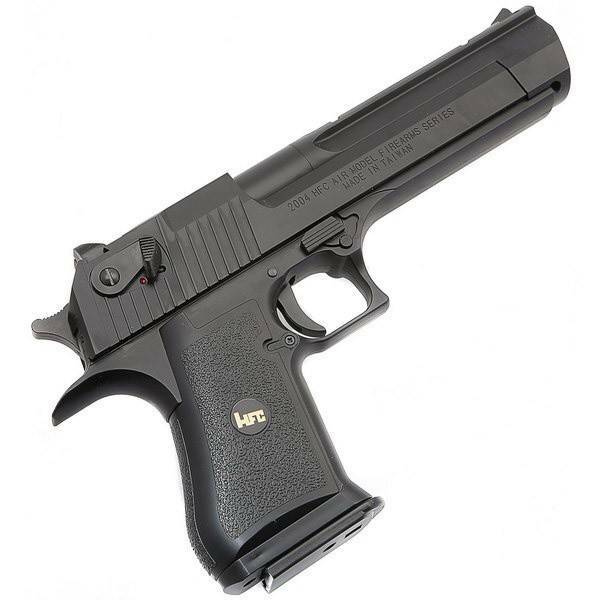 The HFC HG195 is modelled after the infamous Desert Eagle .50 Cal, as seen in many an 'Arnie' film and even the weapon of choice for 'The Agents' in the Matrix Trilogy, this is a BIG pistol, suited to those with either big hands or a big personality! 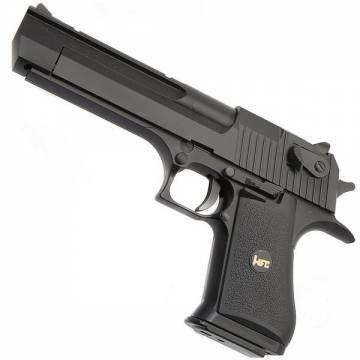 The pistol is made out of a combination of polymer and metal for both the external and the internal parts. 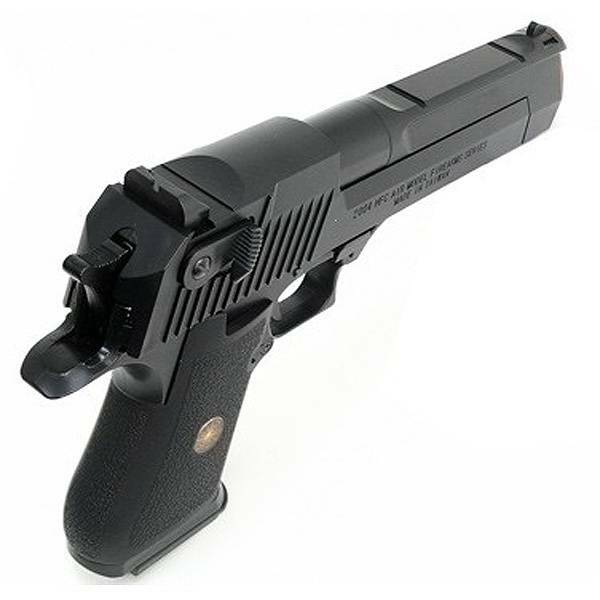 The grips are made of rubber that ensure firm grip on the pistol. The slide catch, magazine release and safety are all functional. The slide movement is crisp and loud. When ran out of BBs the slide locks back. This is amongst the most hard kicking GBB pistol, even using standard 144a gas, this still kicks like a mule! It fires at around 300 FPS (with 144a gas), this has a 27 round capacity magazine, , has a quality plastic outer and the effeciency is such that you should get 2 magazines worth of BBs per gas fill. This pistol has a heavy slide and recoil spring and will only lock back properly when using green gas.